from the drop down list. Click "Add Employee". Enter all necessary information and click on "Save". and select the list you would like to upload and "Import" again to confirm. Using the template provided ensures that the data is imported in the correct format. 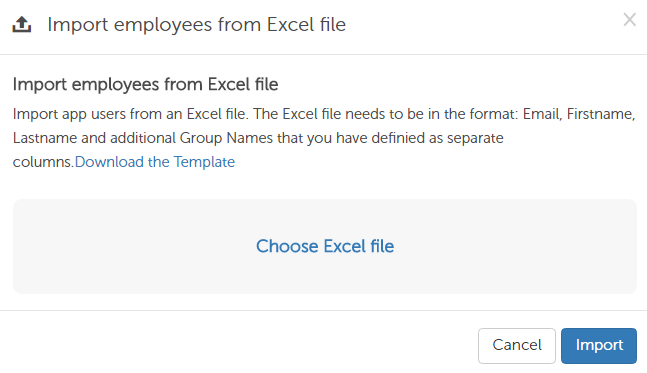 PLEASE NOTE: The Excel list automatically shows the same group names that you have entered into your account such as ""Location" or "Department". 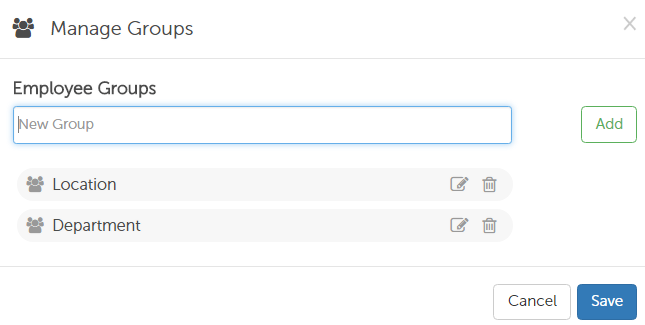 If you have not yet created any such groups, they will not be visible here. The groups must be created in the account first and only afterwards can the employee list be uploaded. If you create custom surveys, you need to translate these fully so that your employees can receive the survey in their own language. To find out more about how this is done, click here. For custom surveys, the employees' languages must also be entered in the Excel list as explained above. Read on to find out about creating and managing employee groups! These employees can take part in the surveys that you create but have no access to the Honestly Account unless they are also added in the "User" section of the "Menu" drop down list.